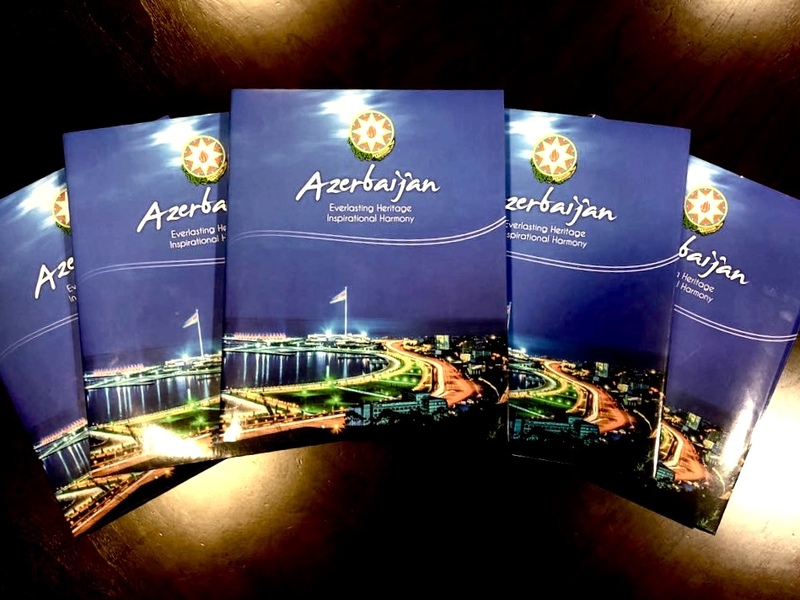 The Consulate General of Azerbaijan in Los Angeles has published a book on Azerbaijan in English in order to further convey the truth of Azerbaijan to the U.S. public. 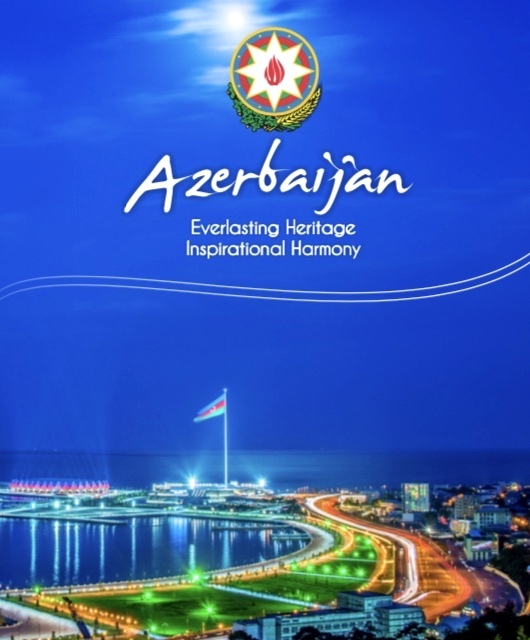 The 120-page book, entitled "Azerbaijan - Everlasting Heritage, Inspirational Harmony", includes information on the geography, natural resources, ancient history, rich culture and art, traditions of strong ethnic and religious tolerance, the state structure and foreign policy, rapid economic development, tourism potential of Azerbaijan, ADA University, “ASAN Service” and other issues. 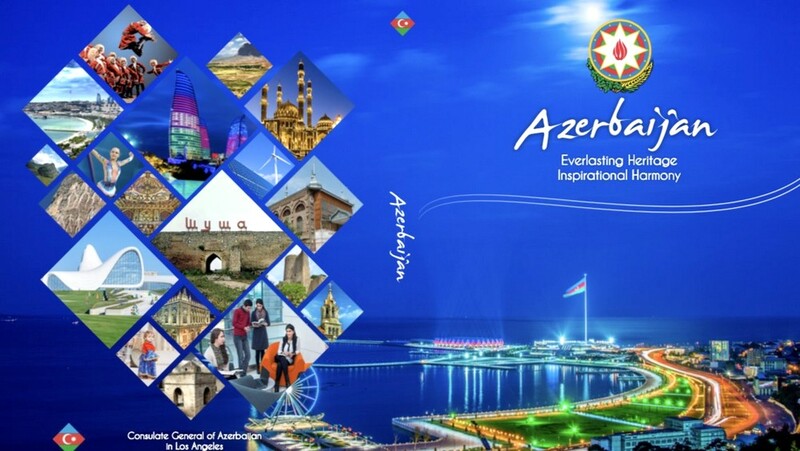 Colorful pictures of Baku and other beautiful regions of Azerbaijan adorn various sections of the book. The section of the book, titled “Illegal Occupation of Azerbaijan’s territory” informs the readers about the Armenia-Azerbaijan conflict. Speaking about the history of the Nagorno-Karabakh region, the book highlights the fact that this historic region of Azerbaijan has been part of many different Azerbaijani states throughout the history. Touching on the division of Azerbaijan between regional powers in the beginning of the 19th century, the publication stresses that as a result of the infamous Kurekchay and Turkmenchay treaties “an estimated 200,000 Armenians left Persia and the Ottoman Empire, and migrated primarily to Yerevan and Nagorno-Karabakh.” “30,000 Armenians settled in Karabakh alone, increasing their share of the population from 8.4% to an estimated 34.8%. In Yerevan, the proportion seemed to have increased from 24% to 53.8%. In return 35,000 of the 117,000 Azerbaijanis who once lived in Yerevan and Karabakh were compelled to flee,” the book notes. The book also draws attention to the many atrocities carried out by Armenian troops against Azerbaijani civilians in the course of armed conflict, including the Khojaly Genocide of 1992, when the Armenian army massacred over 600 Azerbaijani civilians that also included around 300 children, women and elderly. In this regard, it is noted that as a result of the ‘Justice for Khojaly’ campaign, led by Ms Leyla Aliyeva, the public awareness about Khojaly has been increasing in the world, including in the U.S. The Consulate General plans to distribute this booklet among U.S. Congresspersons, state elected officials from California and other states of the Western U.S., mass media, academic circles, universities, libraries etc.